Visual identity for the Moab Under Canvas® glamping camp. 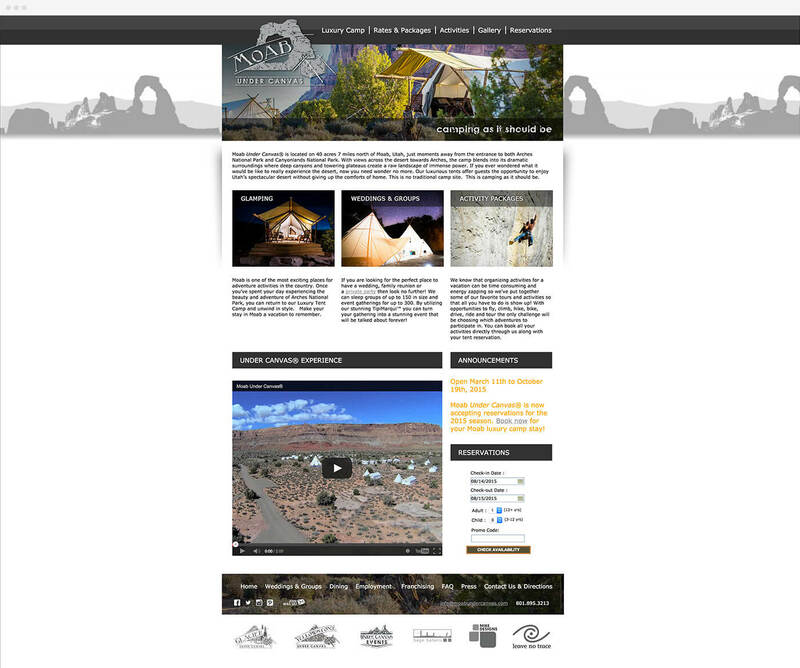 Moab Under Canvas® is the Moab, Utah location brand for the Under Canvas® group, the leading glamping brand in North America. Under Canvas® is a luxury camping brand offering a rustic meets elegance experience.